September 24, 2018, Coast Salish Territories (Vancouver, BC) – The Indigenous Tourism Association of Canada (ITAC) has unveiled the new, comprehensive 2018/19 Guide to Indigenous Tourism in Canada —available in print and online—for industry, media and visitors from around the world. This is the 3rd iteration of a national guide to Indigenous tourism in Canada, and this year the guide has more than tripled in size to feature more than 170 Indigenous-owned tourism business and experiences in every province and territory. Created in a magazine format, it features in-depth articles on Indigenous culture, which is evolving with each new generation of Indigenous tourism entrepreneurs, and the variety of wildlife viewing opportunities available with Indigenous tourism businesses. Its goal is to inspire visitors and encourage them to learn more about the many Indigenous nations, peoples and communities across Canada. The 110-page bilingual guide highlights how authentic Indigenous tourism experiences go well beyond sightseeing to promoting understanding and connection. The experiences available to visitors are as vast and varied as the hundreds of Indigenous nations across the land—from coast to coast to coast. Readers will see how they can visit the site of 3,000-year-old Mi’kmaq archeological mounds at Metepenagiag Heritage Park in New Brunswick, marvel at beautiful carved totem poles at Haida Heritage Centre on Haida Gwaii off British Columbia and wander a recreated village and learn from interpreters at the Traditional Huron Site near Quebec City. 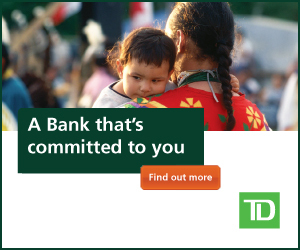 Research from Destination Canada shows that visitors—both foreign and domestic—are eager to engage in authentic First Nations, Inuit and Metis experiences, from signing up to see a powwow with Aboriginal Experiences in Ottawa to taking part in a smudging ceremony at Wanuskewin Heritage Park in Saskatchewan. Interested readers can download the guidebook for free, or can request a copy in the mail. The 2018/19 Guide to Indigenous Tourism in Canada was a project led by ITAC’, with consulting editor, Norie Quintos, past editor of National Geographic Traveler magazine and an editor at large for National Geographic. The Indigenous Tourism Association of Canada (ITAC) works to improve the socio-economic condition of Indigenous peoples through the provisions of economic development advisory services, tourism conferences, capacity development training and workshops, industry research and information for Indigenous tourism operators and communities within the 13 regions; 10 provinces and three territories of Canada. ITAC develops relationships with other groups and regions with similar mandates, uniting the Indigenous tourism industry in Canada and works to enable collective support, product development, promotion and marketing of authentic Indigenous cultural tourism businesses in a respectful protocol. The ITAC Board is made up of Indigenous tourism industry representatives from each of the provinces and territories.